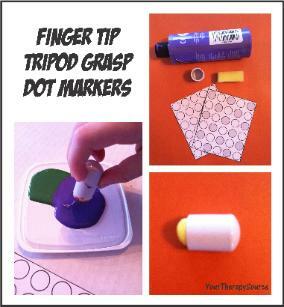 Use furniture tips and small sponges to make these dot markers. The furniture tips come in various diameters so you can vary the size based on the child’s ability. 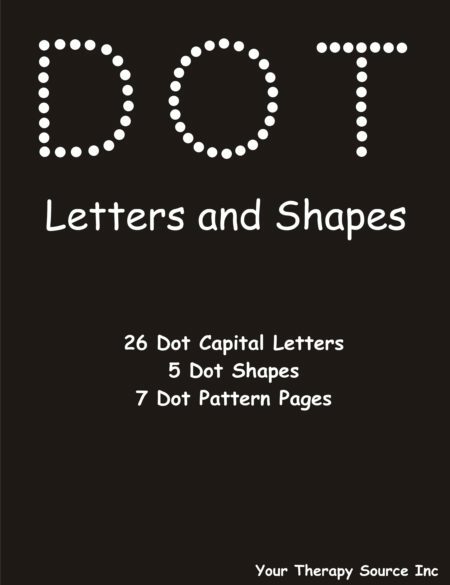 The dot pages in the video are from DOT Letters and Shapes ebook.